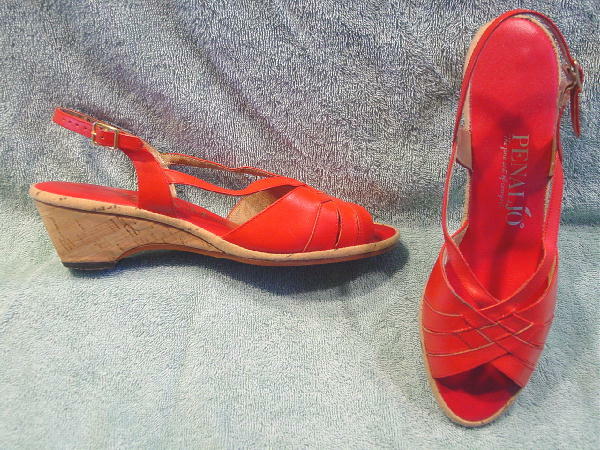 These red vintage Penaljo sandals have faux cork heels and wavy pattern nonskid soles. The sling backs have gold-tone buckle straps. The footbeds are also red.